LCD and plasma Shipping cases safely Shipping, ship or store your LCD and plasma televisions and flat panel monitors. 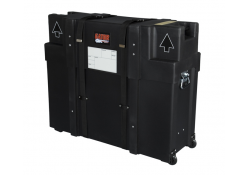 Our hard cases have been certified by the Air Shipping Association, making it safe for air travel. Trade Show Emporium's Shipping cases can fit the most popular sizes of monitors beginning at 20 inches up to 60-inch TVs. 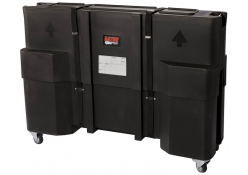 These cases are designed to securely hold your LCD and plasma screens and are perfect for trade show monitors or cases for moving. The interior is outfitted with carpet lining and/or polyurethane foam that is patterned to specific dimensions. 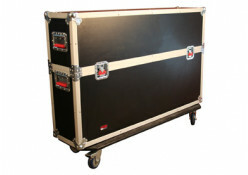 The exterior of the cases is manufacture using reinforced plywood, PVC exterior and zinc-plated hardware. 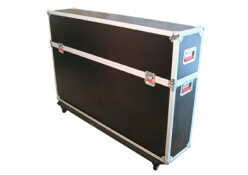 Trade Show Emporium's LCD and plasma Shipping cases allow you to safely ship your flat screen television and monitors. Interior foam lining supports your LCD and plasma screens, eliminating movement of your TV in transit. Each case includes 9 mm plywood, covered by a PVC exterior shell, metal hardware, twists latches, rubber-gripped handles and wheels. 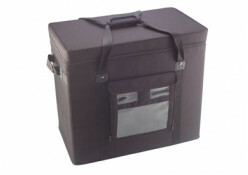 Cases fit most sizes of flat screens, however, please check with a Trade Show Emporium representative before purchasing. These trade show designed Shipping cases are made with Shipping in mind.